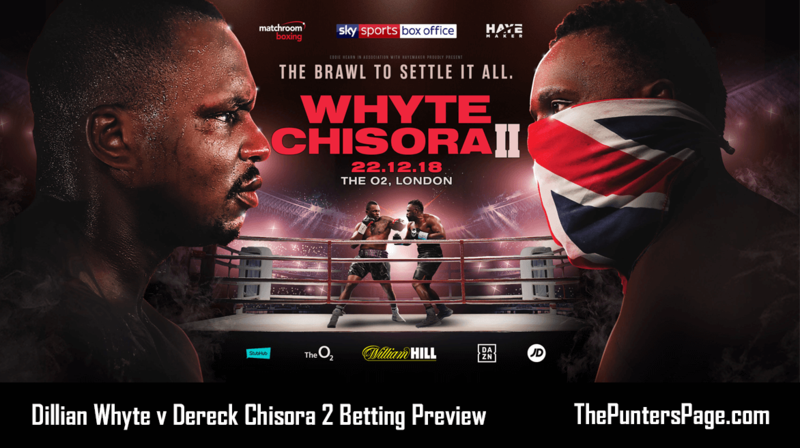 Boxing specialist Dan Frost (@DannyBoyFrost) previews Dillian Whyte v Dereck Chisora and provides us with his best bets for Saturday night’s Heavyweight clash in London. Just over 2 years ago – 10th December 2016 to be exact. One of the best heavyweight contests in the UK was witnessed at the Manchester arena between London based prize fighters, Dillian ‘The Body Snatcher’ Whyte and Dereck ‘War’ Chisora. A real pulsating affair and war of attrition that was fought at a high tempo. The fight ended in a disputed split decision win for Brixton based, Whyte. 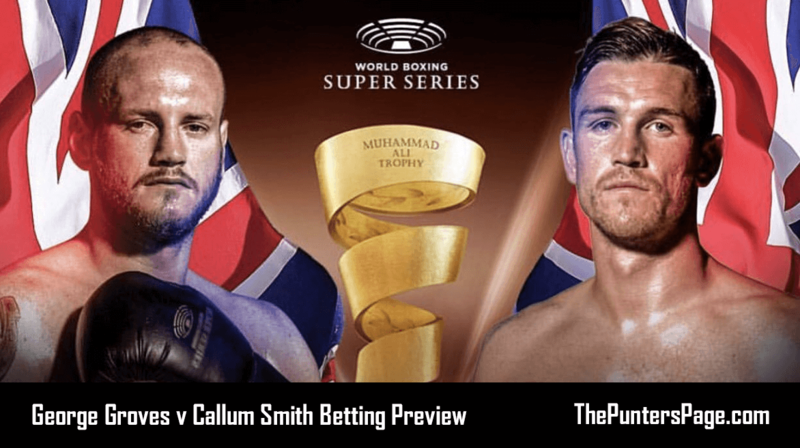 This Saturday night, the much called for rematch will headline the o2 Arena in Greenwich, London. Live on Sky Box Office.Both fighters are coming of the back of career best wins, Chisora knocking out battle hardened and former world title challenger, Carlos Takam. And Dillian Whyte knocking down former WBO champion, Joseph Parker to win on the cards on the same night in July at the o2 arena. 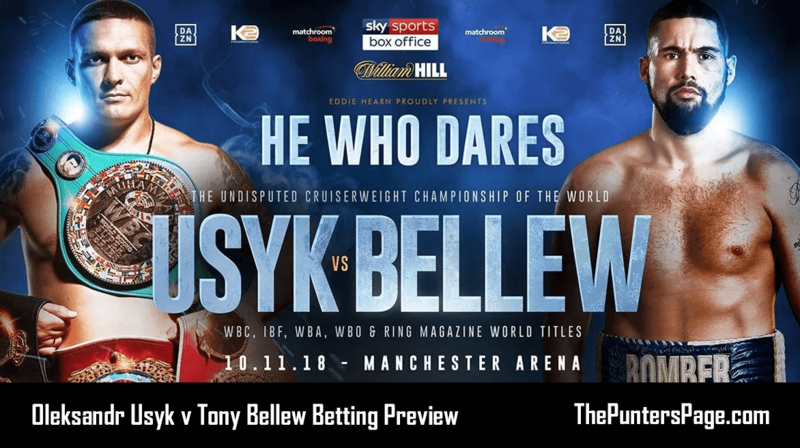 Both have appeared to have got themselves into top shape with dropping weight and the importance of the outcome, as both could potentially land the fight with unified Heavyweight champion, Anthony Joshua on April 13th. So, a lot at stake! In another development, Chisora has brought in former Cruiserweight, Heavyweight champion and former rival, David Haye, into his training camp to insure he’s in the best physical and mental shape he can be. So the results of this remain to be seen on the night. Of the 2 fighters, the 30-year old Whyte has improved more since their initial clash. 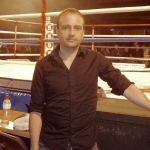 Beating highly rated fighters in Robert Helenius, Lucas Browne and Joseph Parker along the way. The 34-year old Chisora, has had a less than impressive run since the disputed loss to Whyte. Having looked flat with a failed attempt at European champion Agit Kabayel in April of this year. So this would surely be his last roll of the dice at the big time, should he fall short. 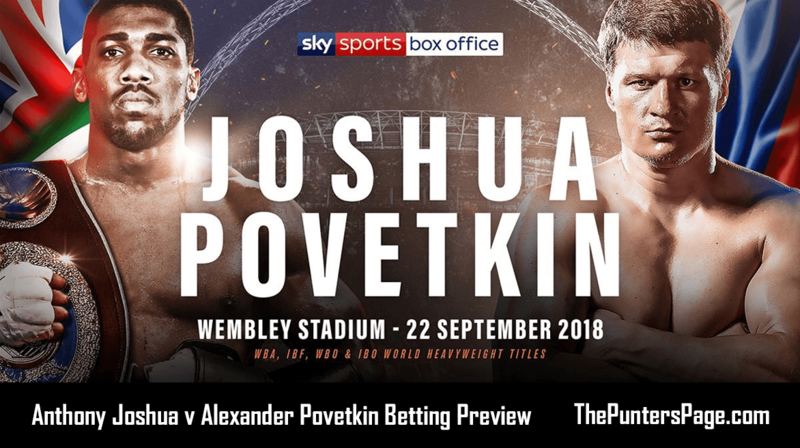 Both guys are evenly matched in terms of power and physical attributes and will be in better shape when they enter the ring on Saturday then they were 2 years ago. So another close 12 round outcome for either fighter could be the best possible outcome. What we’ve got to take into account last time out for Chisora, he was being outboxed and outworked by Takam until he found the winning punch to KO Takam in the 8th round, so Chisora will be dangerous at any stage of the fight. Whyte will go into the rematch as favourite with many to keep busy behind his long jab and work his way into the fight, and possibly even force a stoppage late. Look for the inform Whyte to win a more convincing encounter on points.